Home Brew Beer: Another Special Delivery from Flying Dog Brewery! Another Special Delivery from Flying Dog Brewery! There was a surprise waiting for me when I got home from work today! Another special delivery (Beer-Mail) from FlyingDog Brewery. 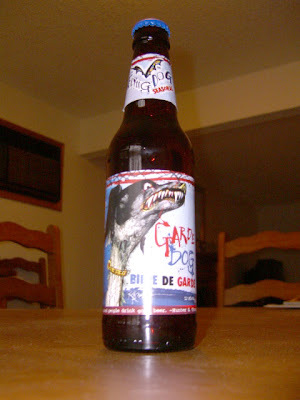 True to her word, Stephani Kerchner, FlyingDog's PR and Event Coordinator, was kind enough to send me yet another sample for my online reviewing purposes. Thanks Steph! That being said, I'm letting the beer chill tonight, and plan on sampling and reviewing it tomorrow, so stay tuned! Thanks for leaving a comment. I'd love to hear how you found my blog, if you're a first time poster, please let me know how you found my little corner of the web. I try to respond to all comments, so please check back for a response. Flip top bottles? What's the deal with the seal? Is your pretzel necklace ready for the ACBF? So you wanna make your own beer? For years I thought about making my own home brewed beer, but thought it would be too difficult. Now I'm finally giving it a go! I will be documenting my experiences here in the hopes of enabling others to learn from my mistakes and hopefully have some fun in the process. 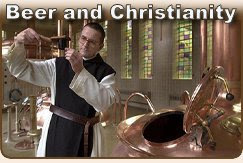 In addition to discussing my attempts at home brewing, I'll also occasionally write about other related topics. Anything from home brew kits, beer reviews & brewery tours, to religion, healthy diets and responsible drinking will be fair game. In the mean time, I invite you to join me as I embark on a brave new journey into home brewing! Cheers! 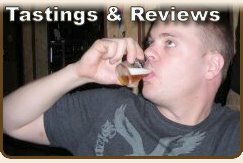 Soap Box: Beer should be enjoyed responsibly! Drink quality beer and drink it in moderation! Nobody likes a drunkard! Enjoying quality beer is about taking the time to savor its taste, color, smell, texture and over all quality. Over indulging impairs your ability to do so, and should be avoided. 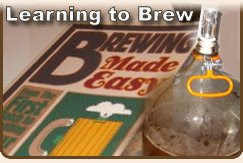 Learn How to Brew Beer Today! 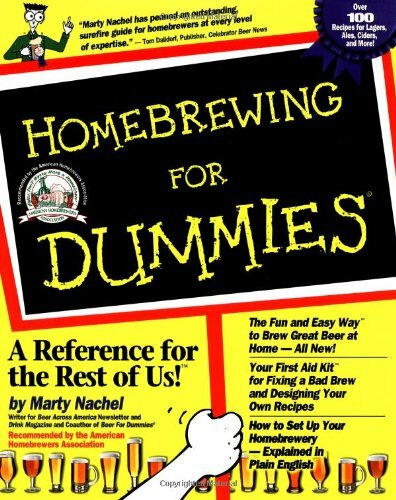 Homebrewing for Dummies is a clear, concise, how-to guide for the do-it-yourselfer. As it turns out, making beer isn't hard to do if you have a stove, some basic equipment, a little time on your hands, and a wife that wont divorce you if the kitchen smells like a brewery. Feel like diving into home brewing head first? You should, but don't go it alone. This book will get you on the right path towards making your own Hefeweizen or India Pale Ale with ease. You'll get the recipes and solid step-by-step instructions. This book covers just about everything, but you're on your own when it comes to your wife. Chill and drink your beer!!! MMMMMM beer! St Patty's 2008: Beamish, Guinness or Murphy's? Beer Philosopher - Drink Wisely. YOU SHOULD NOT BE HERE! - You should be here: goodscarlett.com FIX YOUR BOOKMARK! Nice template huh? Wish I could take credit for it. Wish I could shrink the left margins too.. Powered by Blogger.